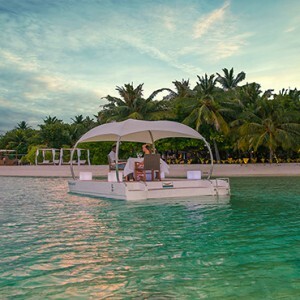 The luxurious Lily Beach Resort and Spa at Huvahendhoo offers serenity and romance from the minute you step onto the island. 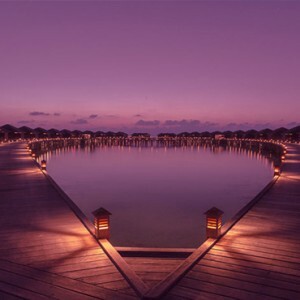 This premium all-inclusive resort scatters traditional Maldivian villas and premium facilities along its pristine beach and shallow, sparkling lagoon. 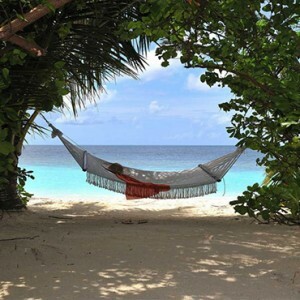 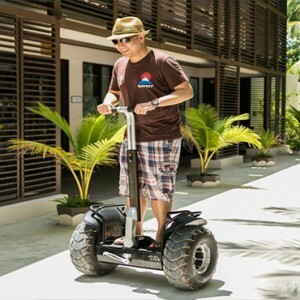 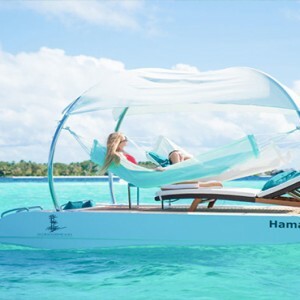 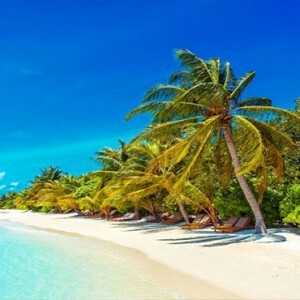 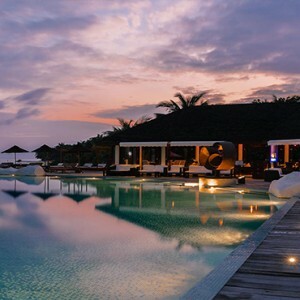 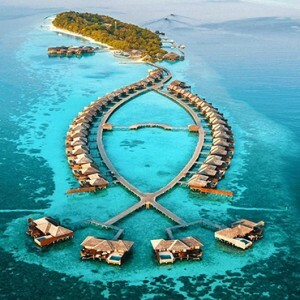 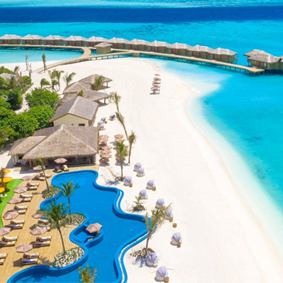 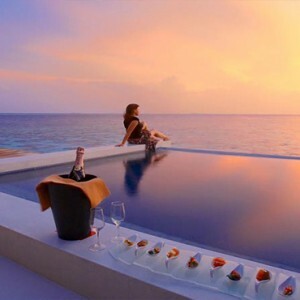 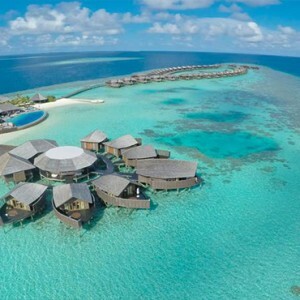 Lily Beach Resort and Spa at Huvahendhoo has become a popular resort in The Maldives. 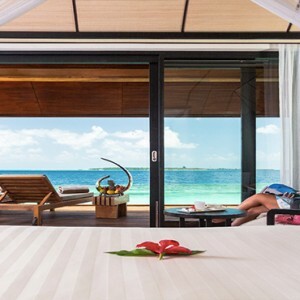 This luxurious resort is surrounded by tropical gardens and an untouched house reef, white sandy beaches and an endless view of turquoise Indian Ocean are the finishing touches. 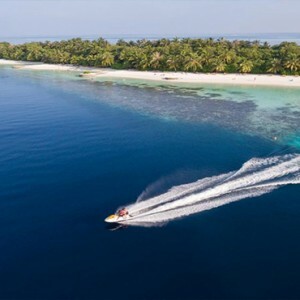 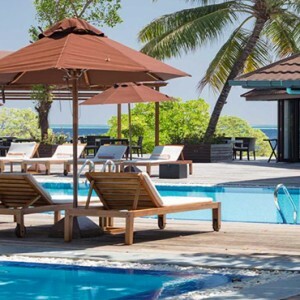 A 25 minute seaplane journey will take your from Malé International airport to this serene and peaceful resort. 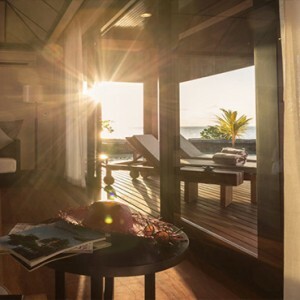 Contemporary design is fused together with traditional Maldivian living to create unique villas dotted around the Huvahendhoo based resort. 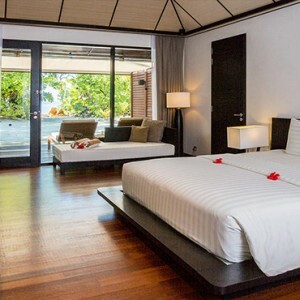 Beach Villas are located on the resorts pristine beach and include an open-air bathroom including Jacuzzi bath. 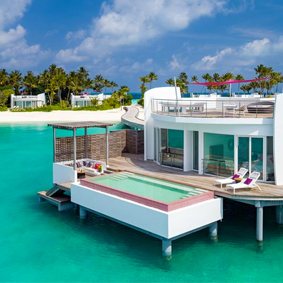 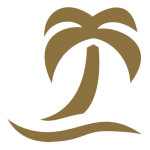 Each of the 16 lagoon villas located half over water feature an ocean-facing terrace and a private beach area. 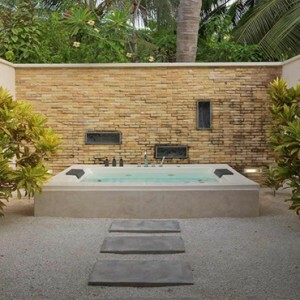 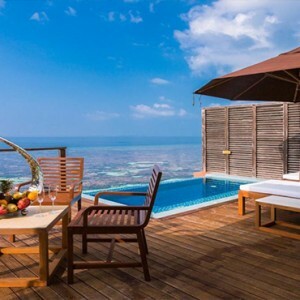 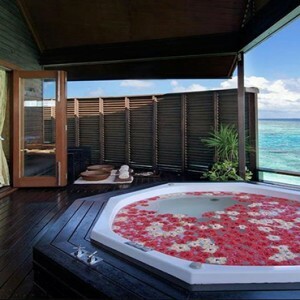 These villas also include an open-air bathroom including Jacuzzi bath. 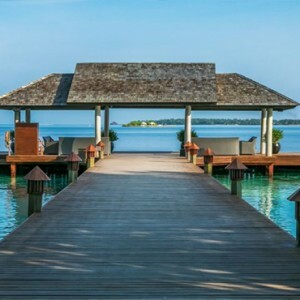 Depending on the time of day and tide level, guests also have direct access to the lagoon. 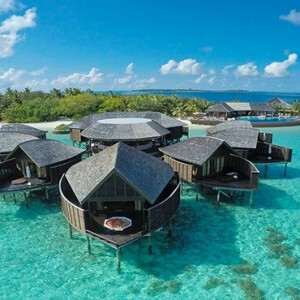 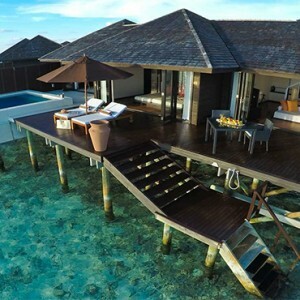 The Deluxe water villas have a magnificent glass floor separating the bedroom and bathroom areas, direct lagoon access and a private sun deck come with spectacular views of the endless azure blue lagoon. 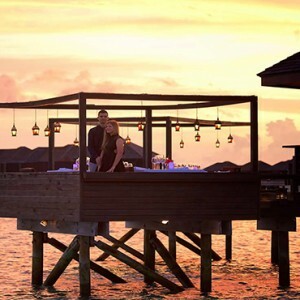 The exclusive sunset water villas are truly outstanding, offering panoramic views of the Indian Ocean and the house reef. 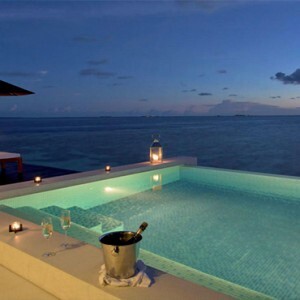 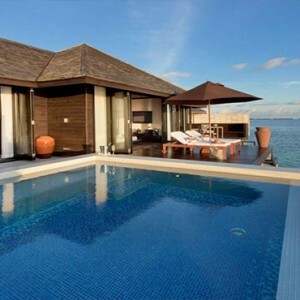 A Jacuzzi-infinity pool is placed on the villas deck, alongside direct lagoon access and a large day bed. 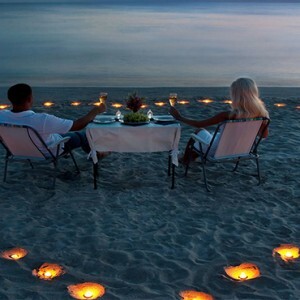 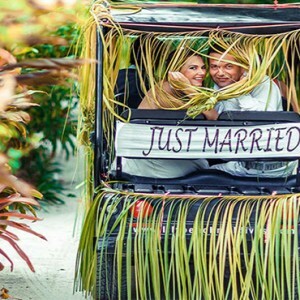 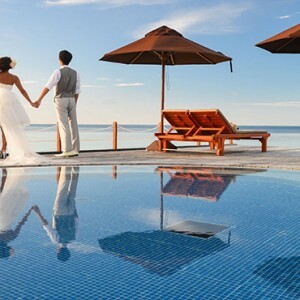 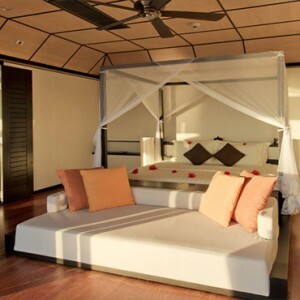 Choosing this accommodation provides guests with an elegant area for their island living honeymoon. 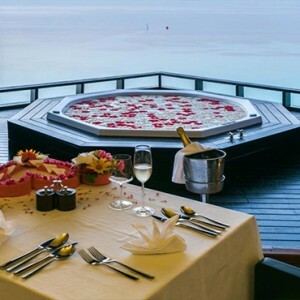 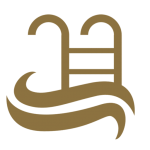 Lily Beaches Spa is exquisite, over water spa pavilions and glass bottomed treatment rooms offers guests an area of pure relaxation. 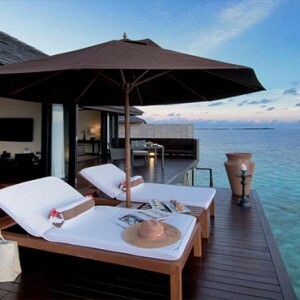 An outdoor spa lounge offers dreamlike views of the turquoise Indian Ocean and never-ending horizon. 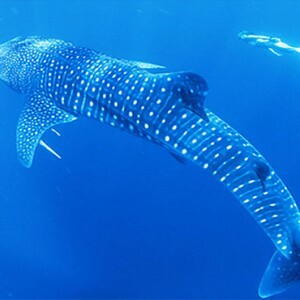 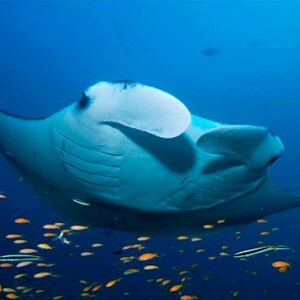 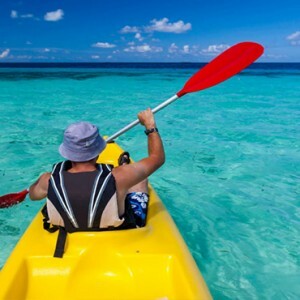 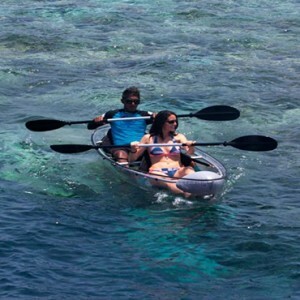 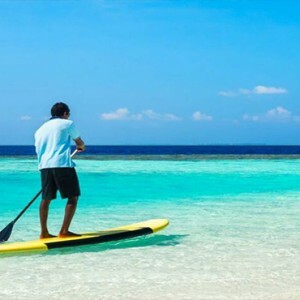 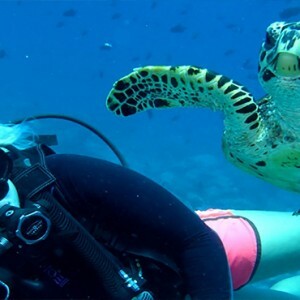 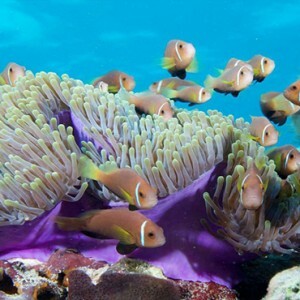 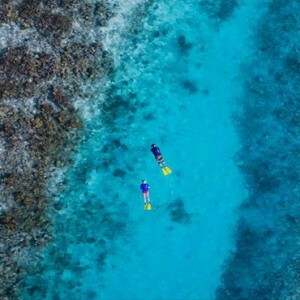 Live music, night fishing, diving on the house reef and a variety of water sports are just some of the facilities that this resort offers. 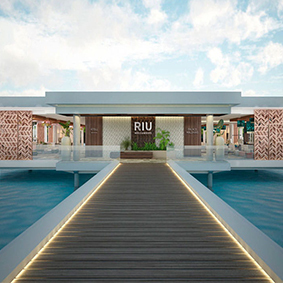 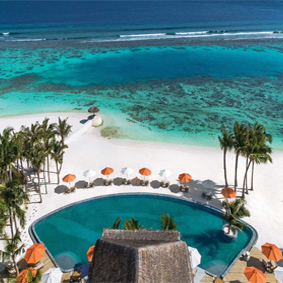 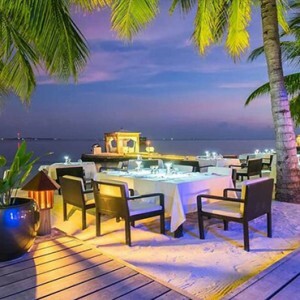 Lily Beach Resort and Spa at Huvahendhoo offers the platinum plan, an all-inclusive package that allows guests to dine in a variety of restaurants and explore the resort without spending any more money. 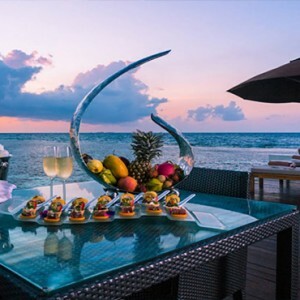 Choose from a range of dining restaurants and bars at this stunning resort to compliment your Maldives holiday, designed to acquire the taste buds of every guest. 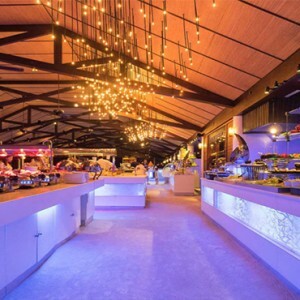 Lily Maa is the main restaurant with a themed buffet bringing you the most desirable and tasty dishes from around the world. 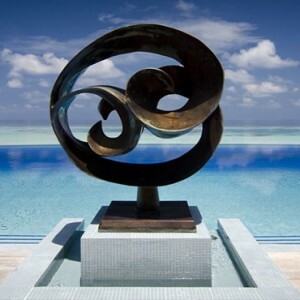 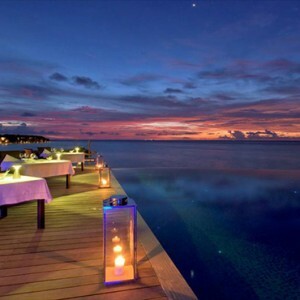 Tamarind allows you to stare out onto the beautiful Indian Ocean at sunset while you sample the best dishes from Asia. 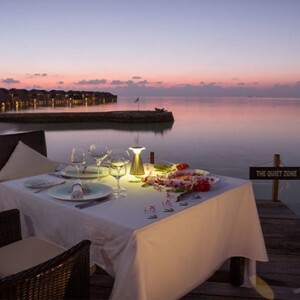 The restaurant serves a fusion of Indian, Chinese and Thai fine dining. 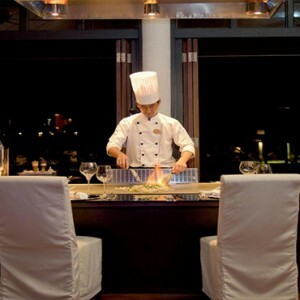 Teppanyaki hosts a menu of Japanese cuisine, cooked by skilled teppanyaki chefs, where dishes are cooked up in front of you for an entertaining culinary experience. 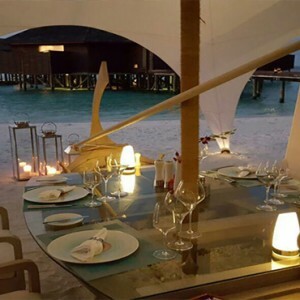 Les Turquoise D’Aqua offers a fine dining experience, perfect for those looking for a romantic candlelit dinner with incredible views of the Maldives. 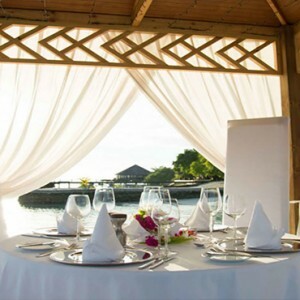 Enjoy a 5-course degustation menu, bringing you the freshest ingredients to tantalise those taste buds. 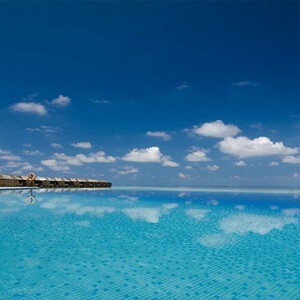 Aqva is a poolside bar, why not grab your favourite cocktail and head on a lounger for a relaxing day at the resorts pool, overlooking the alluring Indian Ocean. 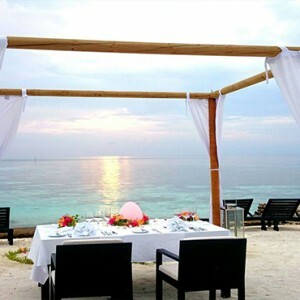 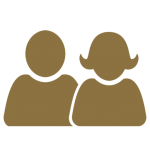 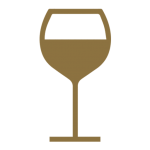 It serves a la carte light meals, snacks and a large selection of alcoholic and non-alcoholic drinks. 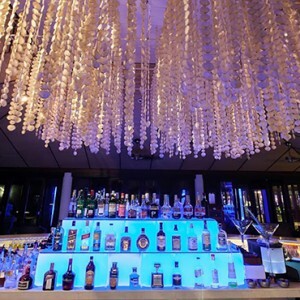 The spirit bar is an elegant and lively hub to enjoy some of your favourite alcoholic beverages and cocktails.